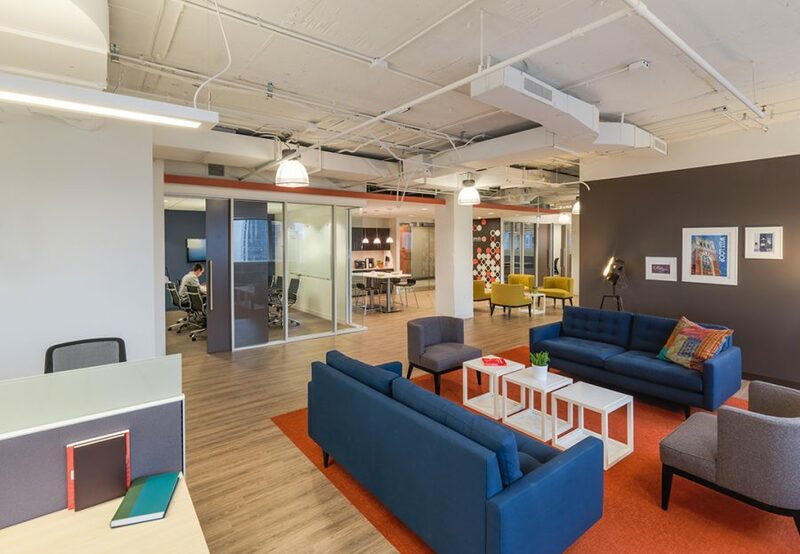 Walker Sands is a vibrant digital marketing and public relations firm that quickly outgrew its office in the West Loop and expanded to their new office at 55 W Monroe in Chicago. 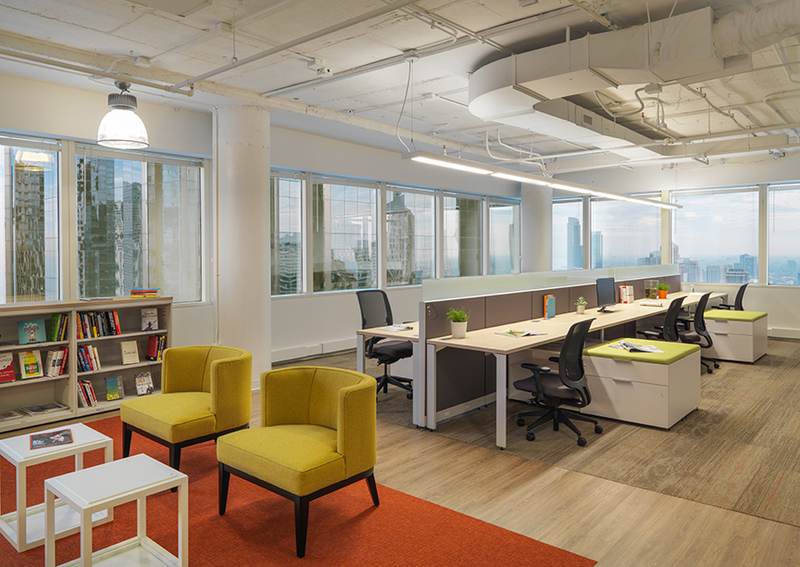 Walker Sands wanted to keep the warm and personal feel of their former loft style office even though they would be in a modern high-rise building. 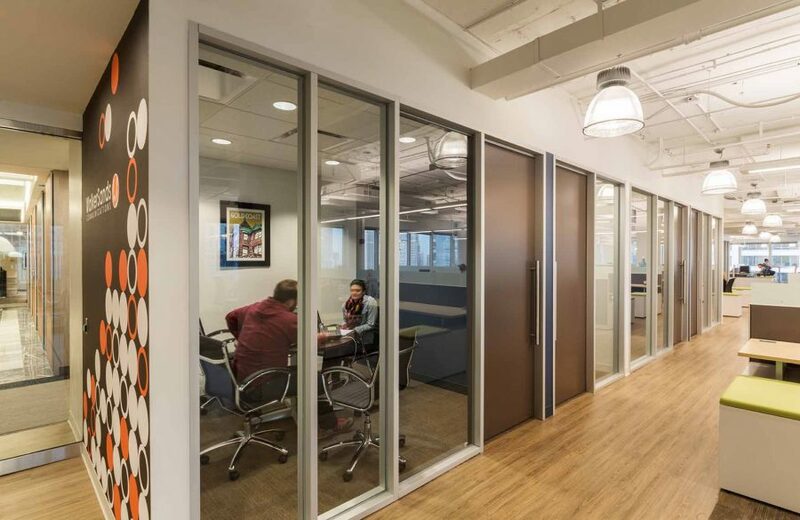 The design of the front reception, with playful graphics and lounge seating, gives the impression of entering a coffee shop more than a standard workplace. 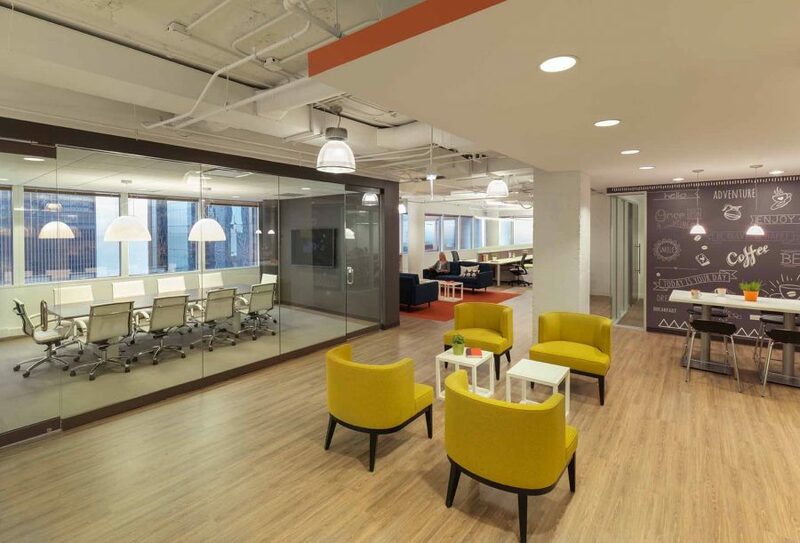 WHA designed several collaboration spaces to feel like living rooms with warm colors and materials that would create the desired relaxed atmosphere without sacrificing function. 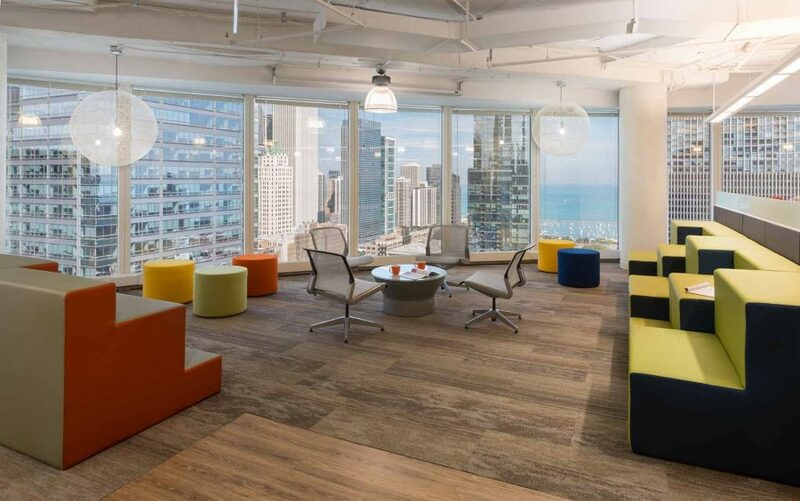 The Allsteel and Hon furniture coordinated through Henricksen continue the inviting color palette, while providing necessary storage and work space. The white exposed ceiling gives a bright loft style look the group can enjoy even in a high-rise building.